A college quad is the heart of campus. It’s often an open space surrounded by interesting architecture and beautiful landscape. Students gather there to study, relax and socialize. Simply put, quads are charming. Ours should be, too. 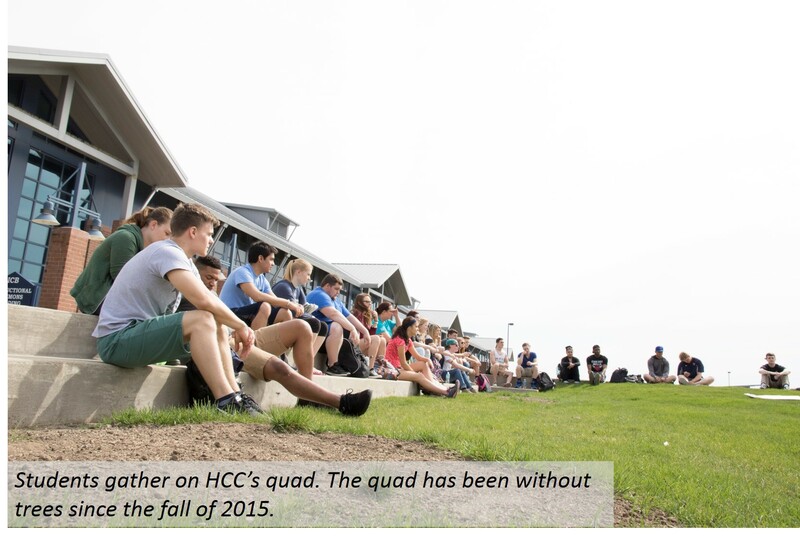 The HCC quad hasn’t always been so empty. When the campus was developing, architects lined the streets with various trees. The quad got ash because the trees grow quickly and are easy to maintain. 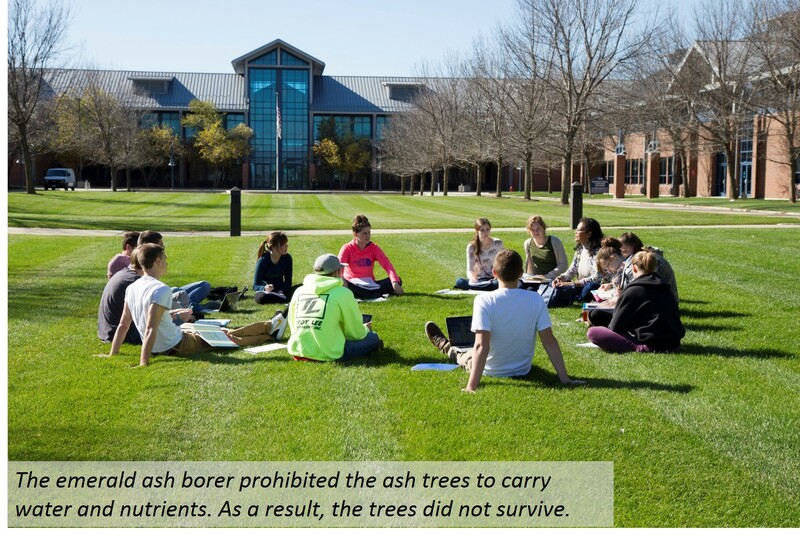 For several years, the ash trees gave the quad an aesthetic appeal. 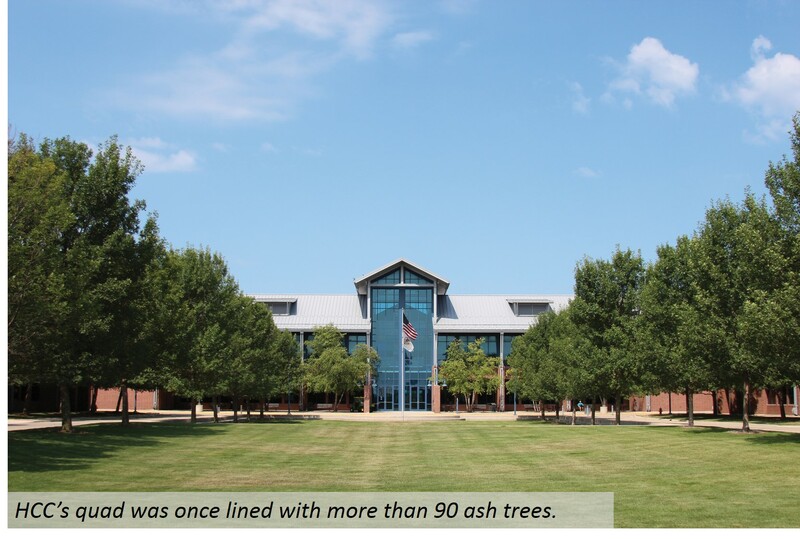 Then came an exotic beetle known as the emerald ash borer which destroyed hundreds of millions of ash trees across the nation, including the ones at Heartland. The trees were no longer able to transport water and nutrients and as a result, the quad looked like winter all-year round. 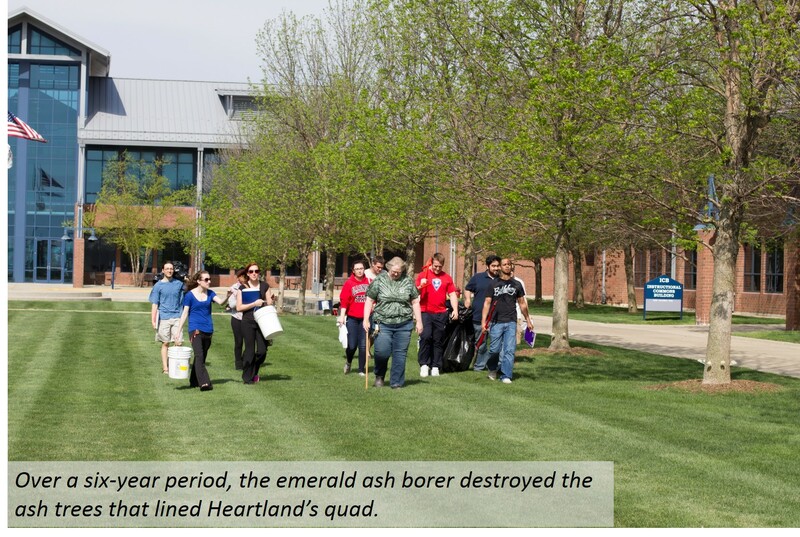 Much effort was made to save the trees, but in the fall of 2015, Heartland removed them. It was hard to lose the ash trees. Their absence left our quad, the centerpiece of campus life, empty. Taking in lessons learned, the College was eager to get the quad’s charm back. Sure it may be barren right now, but the blank canvas provides a great deal of opportunity. 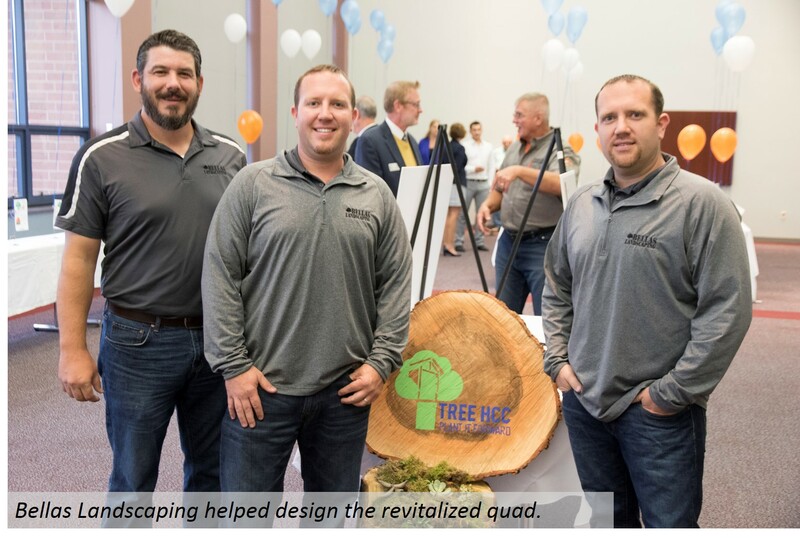 With the help of local landscaping business Bellas Landscaping, the new quad will be a reflection of what Heartland stands for, a community resource. Not only will it bring character back to the center of campus, the quad will serve as a classroom where students can study trees and various contributions to the local ecosystem. It also has the potential to be another park for community members. Funding for the quad’s beautification is being sought through donations and grants. 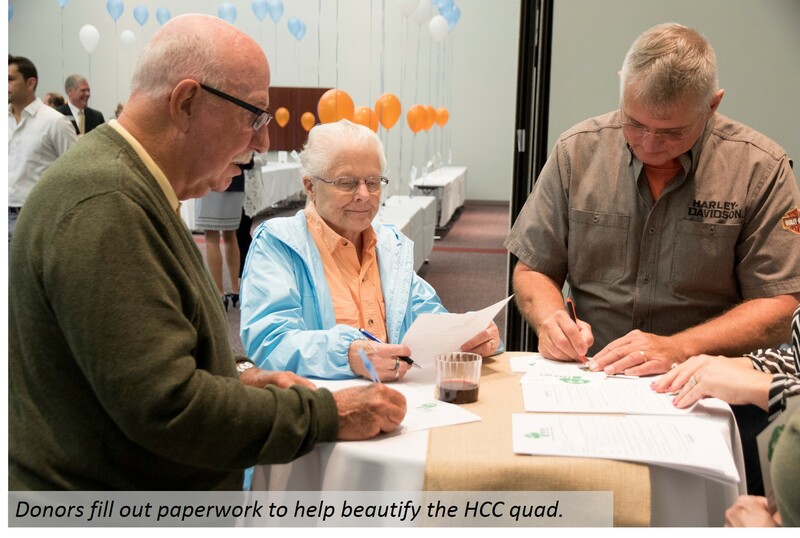 To get the campaign going, the Heartland Foundation hosted a quad enhancement reception on September 29 where roughly 50 potential donors were in attendance. 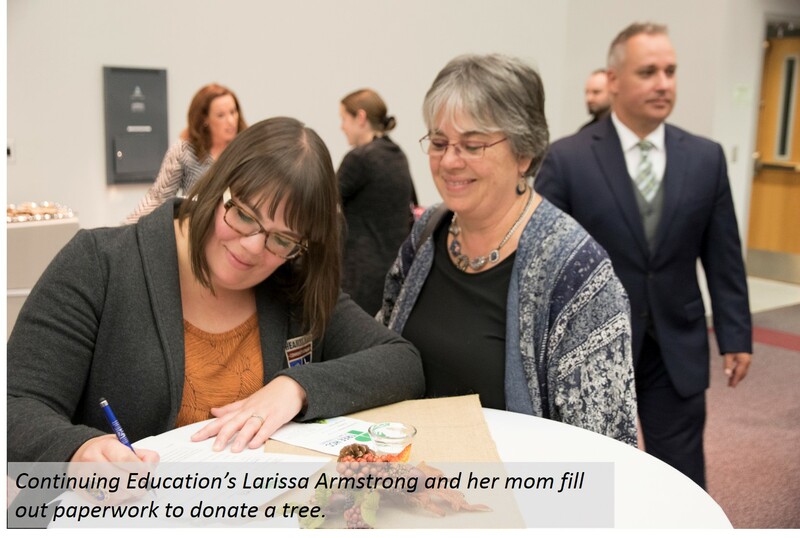 Chris Downing, executive director of the Foundation, said the campaign is an opportunity to put down roots (pun somewhat intended). Price points vary, but donors have the opportunity to choose from a variety of trees and locations. At the ceremony, balloons were placed to indicate the general size of trees. Benches can also be purchased. Downing notes the cost goes to the initial purchase and the maintenance of the tree or bench. Plaques and permanent stakes will serve to recognize donors once the trees and benches are in place. The campaign also serves as an opportunity to honor the memory of an individual. One group of Heartland employees is looking to remember Emily Olmetti, the College’s associate director of the reading center. She passed away in 2014. 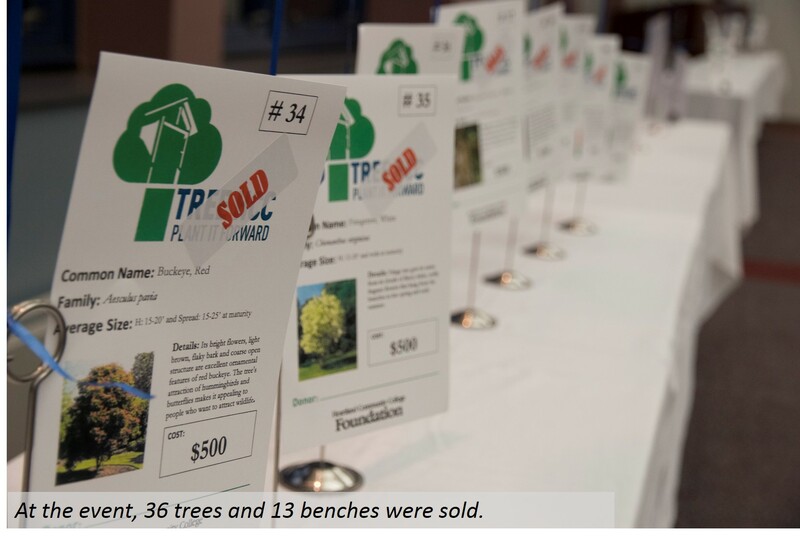 The event resulted in 36 trees and 13 benches sold. Downing indicates the Foundation has more available for those interested in making a donation. To do so, individuals can contact Downing at chris.downing@heartland.edu or 309-268-8587. Work on the quad is expected to begin late fall or early spring, depending on weather. Photos from the event are available on Heartland's flickr page (photographer: Audrey Stickrod).